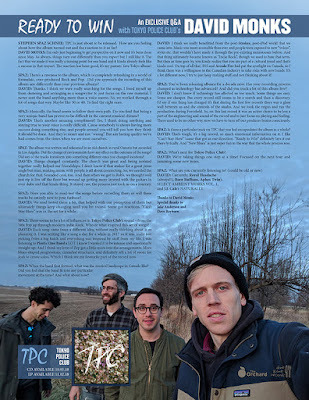 Discussions Magazine Music Blog: TOKYO POLICE CLUB: An EXCLUSIVE Q&A! 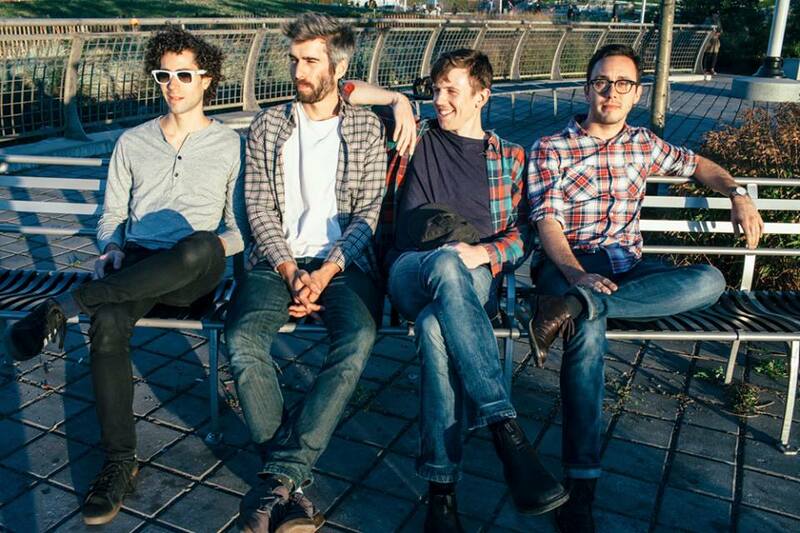 TOKYO POLICE CLUB: An EXCLUSIVE Q&A! DAVID MONKS: I'm only just beginning to get perspective on it now and it's been done since May. As always, things turn out differently than you expect but I still like it. The fact that we made it was really a turning point for our band and it kinda already feels like a success in that respect. The reaction has been good, it's my parents’ fave Tokyo album! SPAZ: There’s a rawness to the album, which is completely refreshing in a world of formulaic, over-produced Rock and Pop. Did you approach the recording of this album any differently than your previous albums? DAVID: Thanks. I think we were really searching for the songs. I freed myself up from demoing and arranging as a songwriter to just focus on the raw material. I never sent the band anything more than a voice memo. So, we worked through a lot of songs that way. Maybe like 30 or 40. To find the right ones. SPAZ: Musically, the band seems to follow their own path. Do you find that being a very unique band has proven to be difficult in the current musical climate? DAVID: That's another amazing compliment! Yes, I think doing anything and staying true to your voice is really difficult. Cause somebody is always having more success doing something else, and people around you will tell you how they think it should be done. And they're smart and not “wrong”. But any lasting quality we've had comes from the times when we are most ourselves. SPAZ: The album was written and rehearsed in an old church in rural Ontario but recorded in Los Angeles. Did the change of environments have any effect on the outcome of the songs? Did any of the tracks transform into something different once you changed locations? DAVID: Things changed constantly. The church was great and being isolated together really helped our friendships. 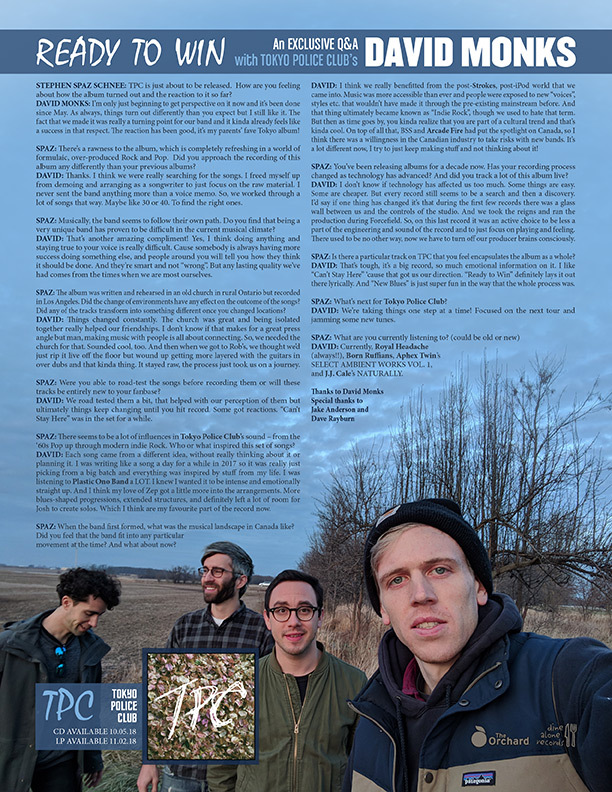 I don't know if that makes for a great press angle but man, making music with people is all about connecting. So, we needed the church for that. Sounded cool, too. And then when we got to Rob's, we thought we'd just rip it live off the floor but wound up getting more layered with the guitars in over dubs and that kinda thing. It stayed raw, the process just took us on a journey. SPAZ: Were you able to road-test the songs before recording them or will these tracks be entirely new to your fanbase? DAVID: We road tested them a bit, that helped with our perception of them but ultimately things keep changing until you hit record. Some got reactions. “Can't Stay Here” was in the set for a while. SPAZ: There seems to be a lot of influences in Tokyo Police Club’s sound – from the ‘60s Pop up through modern indie Rock. Who or what inspired this set of songs? DAVID: Each song came from a different idea, without really thinking about it or planning it. I was writing like a song a day for a while in 2017 so it was really just picking from a big batch and everything was inspired by stuff from my life. I was listening to Plastic Ono Band a LOT. I knew I wanted it to be intense and emotionally straight up. And I think my love of Zep got a little more into the arrangements. More blues-shaped progressions, extended structures, and definitely left a lot of room for Josh to create solos. Which I think are my favourite part of the record now. SPAZ: When the band first formed, what was the musical landscape in Canada like? Did you feel that the band fit into any particular movement at the time? And what about now? DAVID: I think we really benefitted from the post-Strokes, post-iPod world that we came into. Music was more accessible than ever and people were exposed to new “voices”, styles etc. that wouldn't have made it through the pre-existing mainstream before. And that thing ultimately became known as “Indie Rock”, though we used to hate that term. But then as time goes by, you kinda realize that you are part of a cultural trend and that's kinda cool. On top of all that, BSS and Arcade Fire had put the spotlight on Canada, so I think there was a willingness in the Canadian industry to take risks with new bands. It's a lot different now, I try to just keep making stuff and not thinking about it! SPAZ: You’ve been releasing albums for a decade now. Has your recording process changed as technology has advanced? And did you track a lot of this album live? DAVID: I don't know if technology has affected us too much. Some things are easy. Some are cheaper. But every record still seems to be a search and then a discovery. I'd say if one thing has changed it's that during the first few records there was a glass wall between us and the controls of the studio. And we took the reigns and ran the production during Forcefield. So, on this last record it was an active choice to be less a part of the engineering and sound of the record and to just focus on playing and feeling. There used to be no other way, now we have to turn off our producer brains consciously. 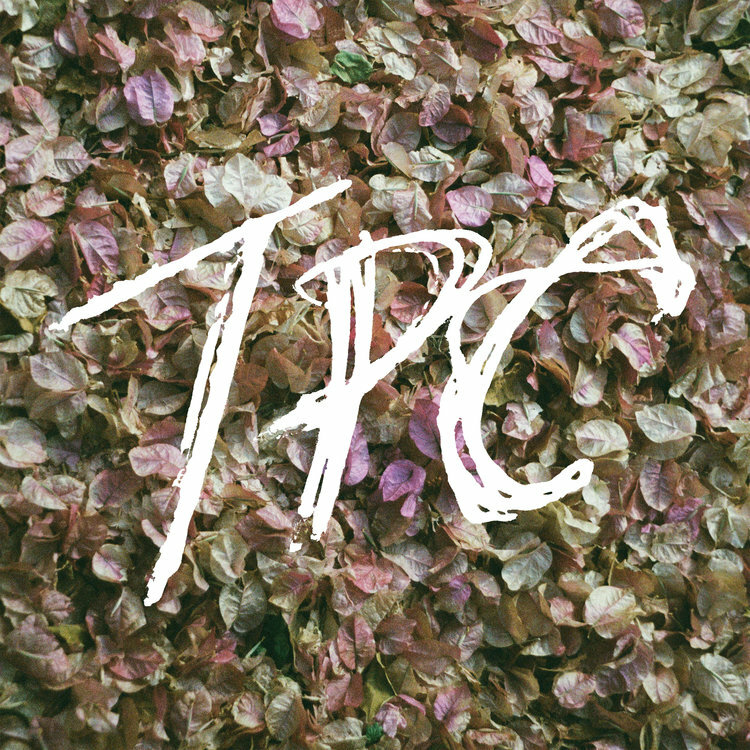 SPAZ: Is there a particular track on TPC that you feel encapsulates the album as a whole? DAVID: That's tough, it's a big record, so much emotional information on it. I like “Can't Stay Here” ‘cause that got us our direction. “Ready to Win” definitely lays it out there lyrically. And “New Blues” is just super fun in the way that the whole process was. SPAZ: What’s next for Tokyo Police Club? DAVID: We're taking things one step at a time! Focused on the next tour and jamming some new tunes. DAVID: Currently, Royal Headache (always!! ), Born Ruffians, Aphex Twin’s SELECT AMBIENT WORKS VOL. 1, and J.J. Cale’s NATURALLY.